Owner and Operator of Perpetual Food Company, Randy Campbell, is as much a teacher and advocate as he is a businessman. Randy is assisting in bringing simple aquaponics systems into schools, as a tool to help teachers demonstrate a variety of curriculum within their classrooms. Randy Campbell has been an advocate for the educating of children (and adults alike) in the importance of eating clean, healthy food, and the impact it has within our lives. He has recently teamed up with a number of boards to help bring Aquaponics systems into classrooms, as a tool to assist teachers with a variety of curriculum demonstration. 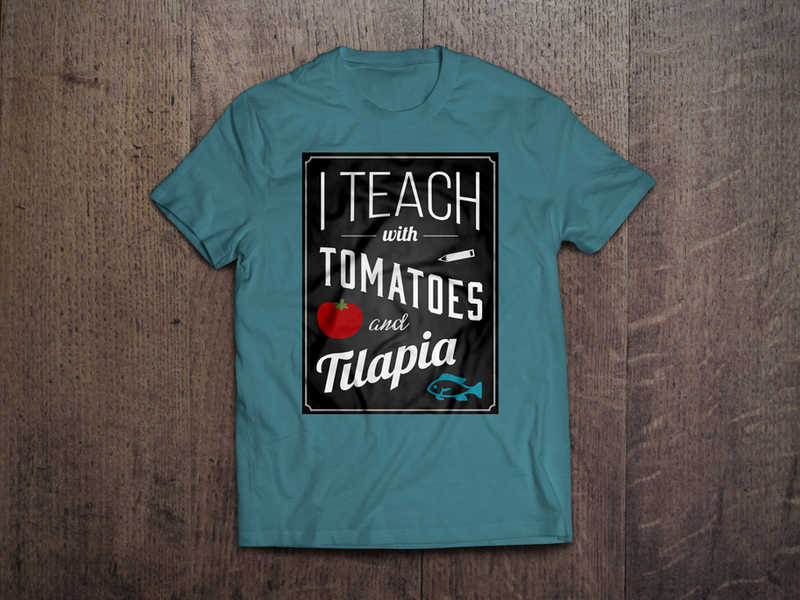 These t-shirts were designed for a convention his company recently attended, and were given to educators currently using aquaponics in their classrooms, who were in attendance. That’s why we went with the “blackboard” look and feel. We also designed the website for Perpetual Food Company, who’s mission it is to spread the word of clean food and health, while making aquaponics something anyone can do.